Tender baby corn is new crop, just arrived, and it tastes so good. Just pop it in your mouth fresh or add to your favorite stir-fry. Packed by Aroy-D which is well known for the very best quality canned vegetables in Thailand. 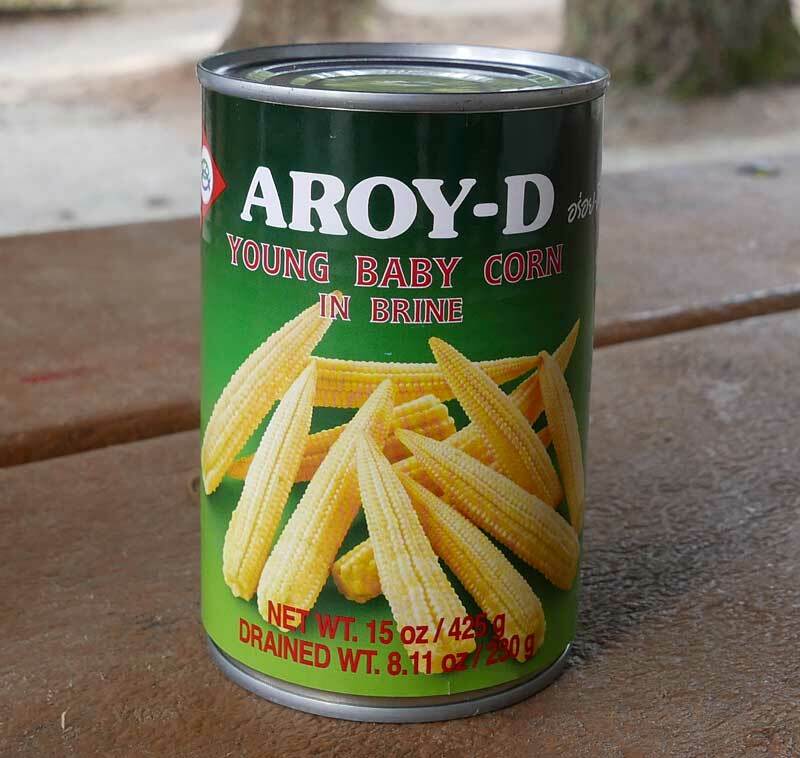 In each can you get about 15-20 baby corns, they are about 6 inches long. Ingredients: baby corn, water, salt, citric acid. Product of Thailand.